There will be fireworks over Fremantle on Australia Day, January 26, as part of the four-day Freo Fiesta. Contrary to popular belief, Australia Day has not been cancelled in Fremantle – plenty of free, family-friendly entertainment is on offer on January 26 and beyond, including the popular fireworks over Fishing Boat Harbour in the evening. Fremantle BID (Business Improvement District), in conjunction with the Fremantle Harbour Traders Group, is staging the Freo Fiesta over four days at various locations across the port city, starting on Australia Day. From 10am to 2pm January 26, 27, 28 and 29, mini-golf and big board games will be on hand at Fremantle's Pioneer Park while Kings Square has numerous attractions including the Freo Royale King Square Common Bar, buskers, Kings Markets stalls and a bouncy castle near the children's playground. 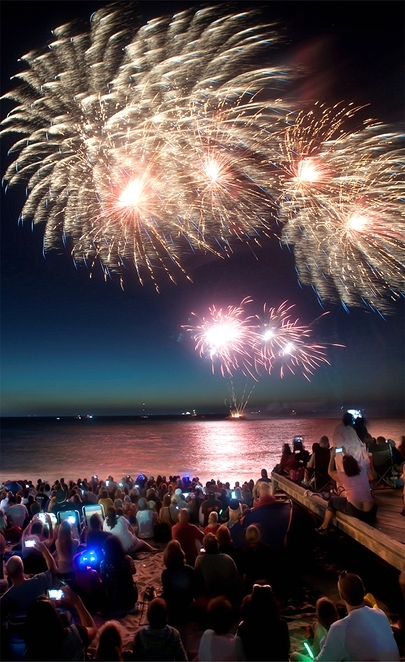 Freo fireworks on Australia Day, January 26, are now in their 10th year. January 26 hotspots include the Kidogo Arthouse, Bathers Beach (with water slides for kids), J-Shed and Fishing Boat Harbour before the ever-popular fireworks – now in their 10th year – start at 8pm, launching from the yacht club groyne. The sky spectacular will be followed by a fun fair and the Fisher Boys playing live at Kidogo Arthouse with music from the Australian Army Swing Band on Cicerello's Jetty. There will also be a live outside broadcast from Pirate 88 FM, focusing on local Fremantle music. Other activities during the four-day fiesta include sand sculptures with lessons for kids, a fun fair, Chinese New Year welcome, Pirate 88 FM chill zone, bouncy castles and markets continuing. A complete schedule is at fremantlestory.com.au. 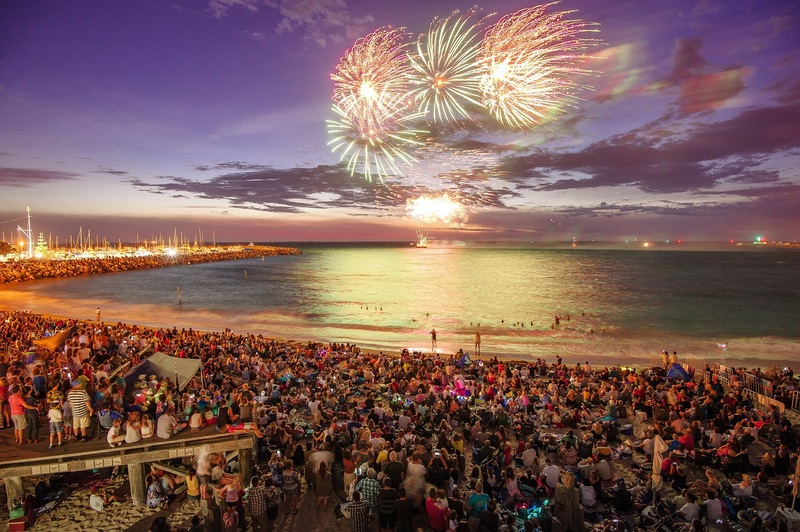 Head down to Fremantle's Fishing Boat Harbour for plenty of fireworks and free, family-friendly entertainment on Australia Day. Cicerello's owner Henry Liascos, a member of the Fremantle Harbour Traders Group, said the entertainment would make the area come alive, attracting people from near and far keen to enjoy what was on offer. Fremantle BID chair Karl Bullers added: "There has been overwhelming support by the traders, who want to bring vibrancy to Fremantle. This is simply our way of providing something for people to enjoy in anticipation of the fireworks and keeping that momentum going into the weekend, which will have a flow-on effect for businesses. It gives Fremantle, and especially the surrounding Fishing Boat Harbour area, a real vibrancy and energy." Fireworks over Fremantle on Australia kick off four days of fun with the Freo Fiesta. Why? 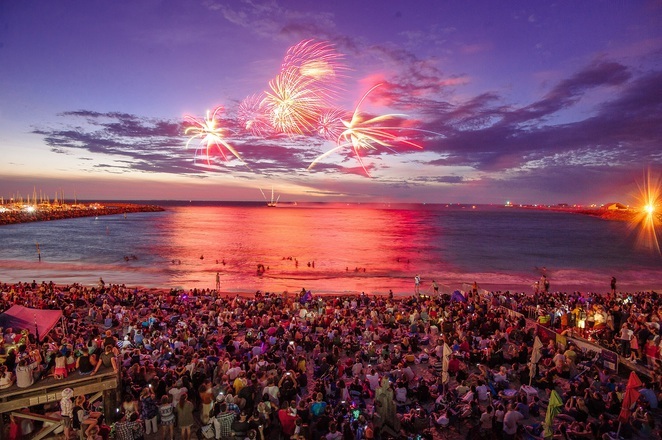 Family-friendly fireworks over Fremantle on Australia Day have become a tradition over the past decade – and this year it’s being ramped up even more as part of the four-day Freo Fiesta with a cavalcade of entertainment on offer. 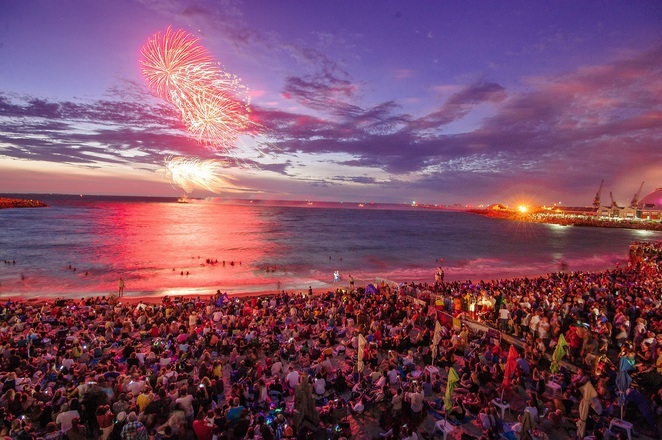 Where: Head to Fremantle's Fishing Boat Harbour for the fireworks – other Freo Fiesta hotpots include Bathers Beach, Pioneer Park, Kings Square, Kidogo Arthouse and the J-Shed.